This is probably the most in depth we have ever been on technique on the podcast, and for that reason this is definitely one of my favourite episodes to date. Dan Bell, Josh and I spoke about the role of the arms in affecting bar path, the role of the quads and hamstrings, and where the balance ought to be during all parts of the pull. We spoke about flat footed pulls, panda pulls, and belt squats. We also finished off with a few hilarious and informative stories about Westside Barbell. ... See More Ultimately, a tremendous podcast. Dan Bell (The People's Technician) has coached weightlifting exclusively for nearly 18 years. 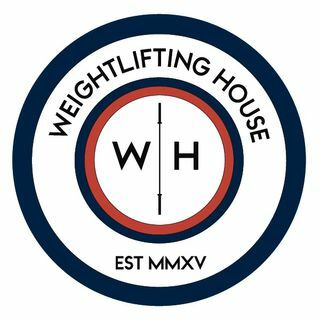 He is a USA Weightlifting National (Level 2) coach and has guided weightlifters to the national and international level, as well as helped hundreds of Crossfitters improve their weightlifting technique. Coach Bell has been involved in weight training and barbell sports for over forty years. His strength journey has taken him from preparing for high school football and wrestling to powerlifting, strongman training, and finally, Olympic weightlifting. Dan says that technique is as demanding and precise as a 300 pound golf swing. He believes weightlifting to be the ultimate test of speed, strength, flexibility and athleticism.